About 1.5 years ago I met this amazing lady at a wedding which we both worked on…her name is Georgia Mills and when we had a short chat (no time for long chats on a wedding…) we connected pretty quickly, because We. Both. Are. Crazy. Dog. Ladies! We worked for a wonderful couple with a lovely family dog when we first met and Georgia and I were pretty much in love with this little fur baby right from the start. Unfortunately, he didn’t join for the ceremony or reception, but I can tell you that Georgia is always up for dogs at wedding ceremonies! (And so am I – I basically think there should be at least one dog at every wedding!) 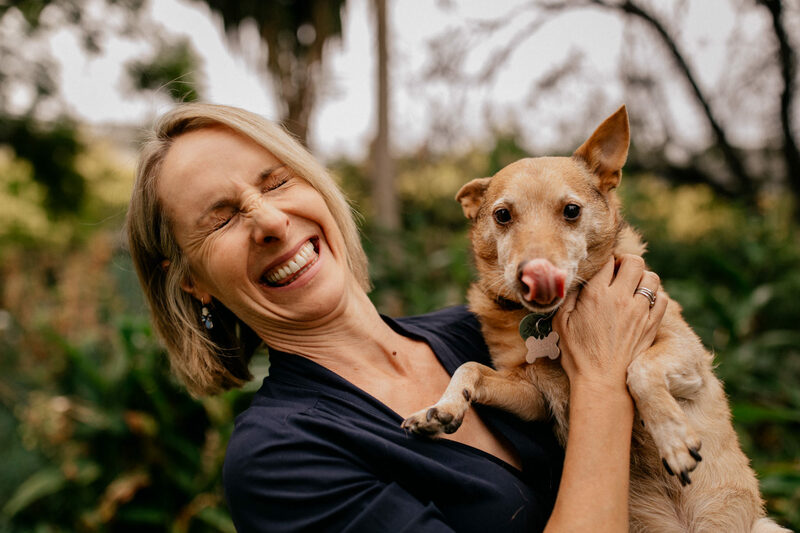 There are soooo many amazing things about dogs at weddings: They can be the ring bearer, they can kiss every guest, they are amazing at checking if the decoration is on point (Lana might have tried to eat the olive branches at our wedding…), they make everyone happy!! Well…I am getting side tracked! Georgia and I met up for coffee another day after the wedding and chatted mostly about our dogs…showed photos of our fur babies to each other and found out that we both want to pet every dog around…always. 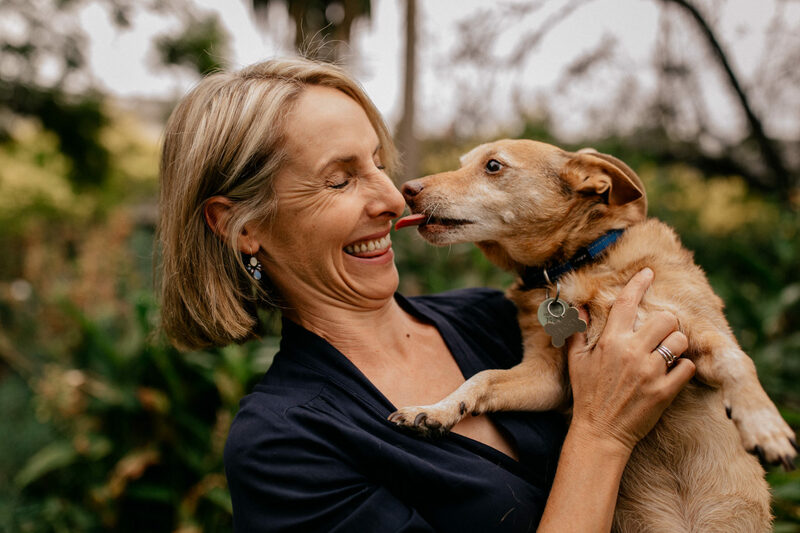 But not only is Georgia a dog lover – she is also a wonderful wedding celebrant in Melbourne. Georgia’s wedding ceremonies are amazing and I loved her work pretty much from 5 minutes into the first ceremony I listened to. 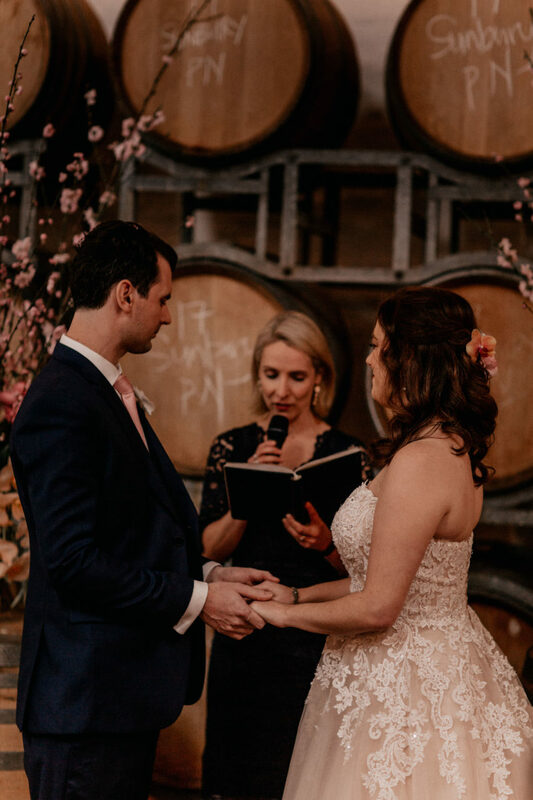 She creates wonderful personalized wedding ceremonies for her couples and puts so much character and care into the words she uses to marry her couples, it is just perfect! Georgia, you are an absolutely fantastic wedding celebrant…How long have you been doing this? 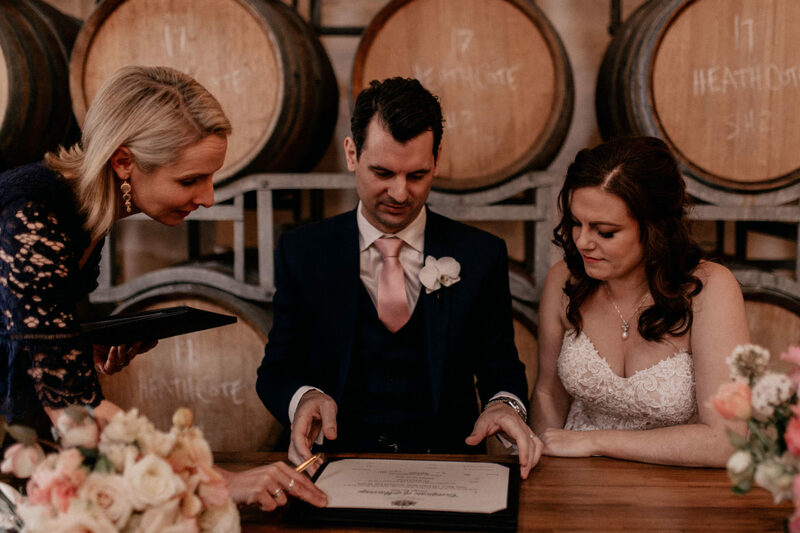 I have been a marriage celebrant (for the Victorian Marriage Registry and as an authorised celebrant) for 10 years. So far I have married around 725 couples! What is your favorite thing about being a wedding celebrant? There are lots of things I love….I get to meet so many wonderful people who allow me a little peek into their hearts and let me be part of one of the most significant moments in their lives. And I really enjoy seeing how much love and happiness surrounds couples on their big day…..the proud aunties, the emotional mums and dads, the heckling friends – each with a story to tell about their connection to the couple. To me, weddings are a moment to capture and celebrate all the best things in life. So I am reminded over and over, of the importance of family, friendship, coming together to celebrate life and of course love! My favourite thing….seeing the power of two people making public promises before the people they love – and remembering that ultimately we are all just striving to find love and happiness in this crazy life! And how great it is when you do! 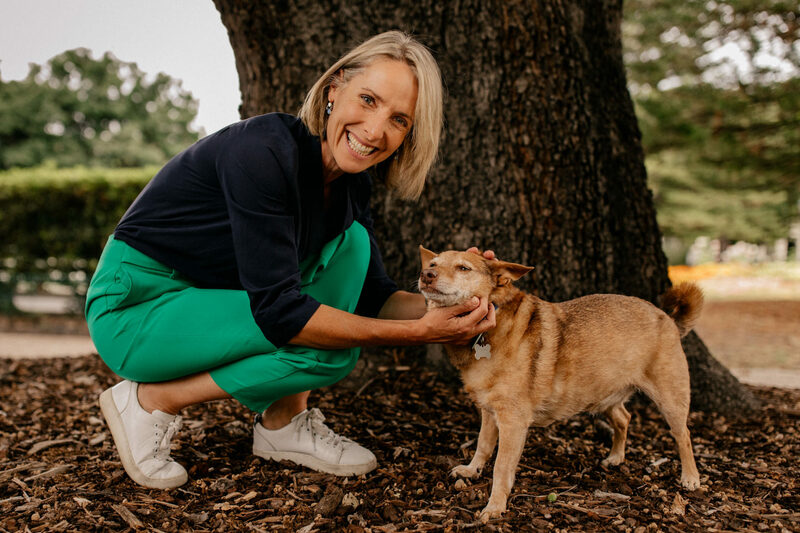 If I am meeting a couple for the first time, it’s usually a bit like a blind date, so I might say hello and make sure I am talking to the right people first – and then go crazy over their dog! But yes, I may have been similarly guilty of heading straight for the petting part! What happens if your couples ask you if they can bring their dog to the wedding? 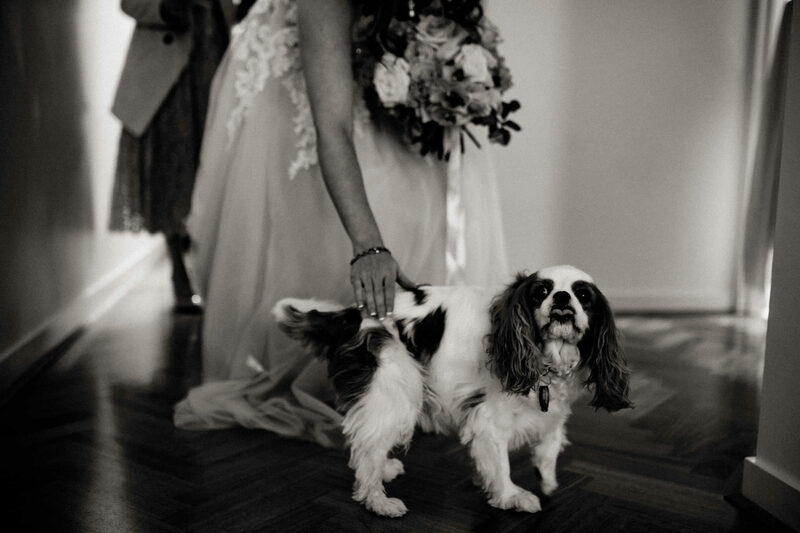 I love it when couples want to include their dogs in their wedding ceremony in some way! They show us daily what unconditional love is so why not have them there when you promise your unconditional love to one another!! After asking to see photos and getting excited, I normally ask them to have a think about whether they think they’ll be able to relax and enjoy their ceremony with their dogs there – and do they think their dog will be happy in this setting, too. There are a few practical issues to think of, like: who will bring them and take them home, who will be the dedicated dog go-to person, will their dog play a role in the ceremony or just hang out, is there shade and access to water, is the venue suitable or will your dog spend the entire ceremony chasing ducks and trying to jump into the lake! 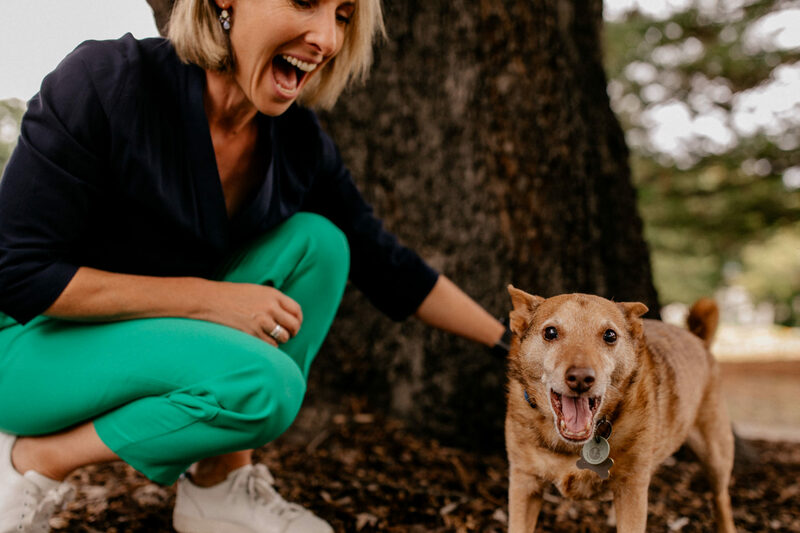 There’s usually always a way to make it work – but if it’s all adding up to being too difficult, there are lots of other ways to include their beloved dog in their day. I have had couples bring along life-size cardboard cut-outs of their dog (great for photo opportunities) or having their dog involved in photos while they are getting ready at home (rocking a special dog-crown/collar), or have someone bring their dog along after the ceremony to say congratulations! I can give a special shout-out to their dog in the ceremony and speak of the wonderful love their dog brings to their lives. Some couples have incorporated a drawing of their dog on their invitation, or place cards. I have even seen couples design a signature cocktail based on their dog’s name – think Barry Spritz!! – tied in with a little theme and fun description. 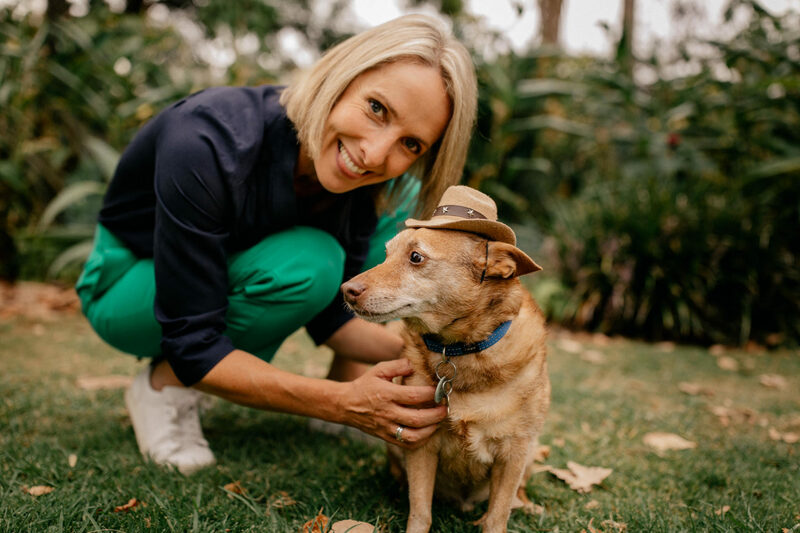 What about writing a few words for a reading made on your dog’s behalf. What is the normal process when a couple books you as their celebrant? Do you personalize every ceremony? Yes, every ceremony is personalised. Once a couple has booked me I will give them the relevant paperwork and some resources to assist getting their ideas flowing. We then meet up again to talk about their story and the things they want to share and celebrate in their ceremony. I go away and write up a personalised draft that they can read over and play around with. Closer to the wedding date we meet up again to do a run through or brief rehearsal, this is a great way to (hang out with their dog again!) get familiar with how it will all look and work on the day. How many wedding ceremonies do you do every year? I try to limit my weddings to around 75 a year to give my couples the best experience possible. And how many of those weddings include a dog? I don’t know exact numbers, maybe 10-20% with dogs actually in the ceremony, and around 50% including their dogs in some other way. Did Barry ever accompany you on a wedding or is he only doing office duties? Barry is great with the office duties. He’s also a big fan of rehearsals (in local gardens) and likes to come along to stand in as ring-bearer/best man. He has sometimes accompanied me for the ride into a nearby ceremony but then makes a discreet exit once I am all set to begin! Is there anything else you’d like to tell our dog loving couples out there? Dogs in weddings can be wonderful, if you make sure it works for you, your dog, your venue and your day. Basically it comes down to thinking of your wishes and your dogs’ needs and what will make all of you happy! 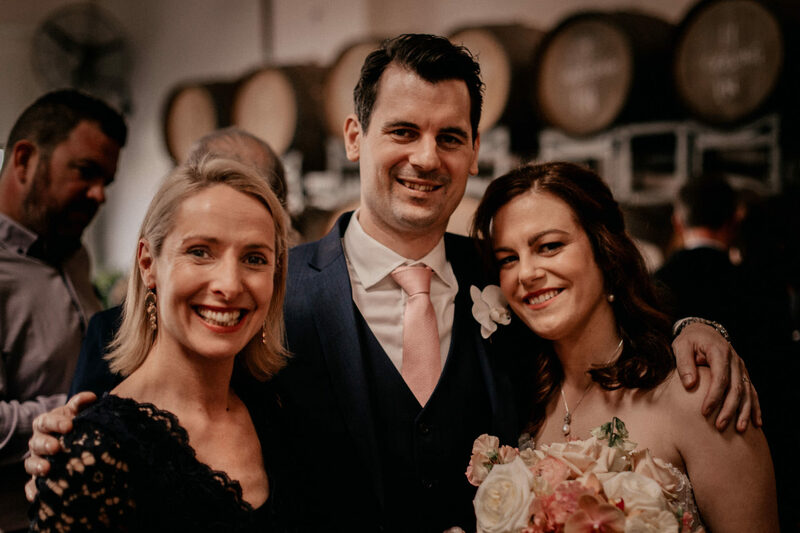 I can definitely recommend Georgia to any couple out there that is looking for a wedding celebrant in and around Melbourne, she does an outstanding job and is an amazing person!